Ten months after glossing over the involvement of both Hein Verbruggen and Michele Ferrari in his Oprah Winfrey interview, avoiding answering questions about their involvement in his doping or in its cover-up, Lance Armstrong has now implicated both individuals during a meeting with Emma O’Reilly. The Texan met with the Irishwoman who used to act as his soigneur with the US Postal Service team, and who was the first to go on record about his doping when she spoke out in the LA Confidentiel book in 2004. The duo sat down in the town of Celebration, in Florida, accompanied by a Daily Mail reporter. There Armstrong spoke out for the first time about Verbruggen, revealing that the-then UCI president tried to help Armstrong sidestep a positive test he had during the 1999 Tour. “What I remember was there being a problem. I'm not sure if it was a positive but there were traces found,” he recounted, speaking about a urine sample he gave which subsequently showed traces of a banned corticoid. Armstrong was leading the Tour at the time, en route to his first of seven victories in the race. It was one year after the Festina Affair rocked the sport to its foundations and, having been marketed as a cancer survivor returning and winning while racing clean, the implications of a positive test were understood by all, not least the president of the UCI. “The real problem was, the sport was on life support. And Hein [Verbruggen] just said, ‘This is a real problem for me, this is the knockout punch for our sport, the year after Festina, so we've got to come up with something.’ So we backdated the prescription,” said Armstrong. 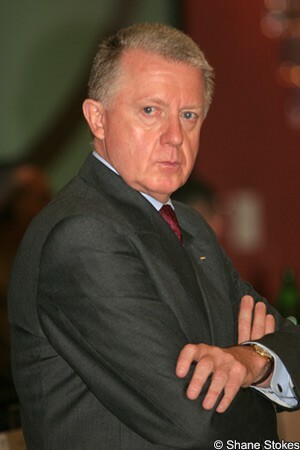 He had previously refused to name UCI officials who were involved in the cover-up, which was first revealed by O’Reilly. Armstrong told her and the Daily Mail journalist that when he finally appears before the truth and reconciliation commission that the UCI is planning, that he will present evidence which will “sink” Verbruggen. The Dutchman recently issued a long statement insisting that he always acted ethically and disputing that he had ever covered up positive tests. Armstrong’s statement suggests otherwise, and gives Verbruggen reason to be concerned at what might be disclosed. Armstrong feels like he has become the fall guy, partly due to the lifetime ban he was given versus the six month suspension handed to many of those who testified against him. Meanwhile Armstrong also implicated his former doping doctor Michele Ferrari for the first time. The Italian had long been accused of doping athletes, including the Texan, but thus far Armstrong had held back from confirming that he was involved in his use of performance enhancing substances. He told the Daily Mail that he remains in contact with Ferrari as he cares for him. However he also explains that the Italian told the US Postal Service team to back off on using a previously-undetectable hormone during his bid for a second Tour title. “This has never been heard before but Michele warned us in 2000 that they were close to a test on EPO,” he stated. “We all assumed it was going to be business as usual but Michele said "No EPO". We continued to use some after that but not in the same way and not as much. We were much more careful. O’Reilly was meeting Armstrong face to face for the first time in many years and, after speaking to him at length, felt that they had reached an important step, in terms of getting over the damage that was done in the past. She said that she found some level of closure. He was handed a lifetime ban last year when he declined to defend the case brought against him by the US Anti Doping Agency. He is hoping for a reduction in that, something which USADA says is possible, but thus far has not given any details to the agency. WADA and the UCI have made clear that his only chance of having his ban reduced is to speak to that agency and to give substantial information which will help it penalise others in relation to doping. He clearly misses competition, and wants to pin on a number again. “I think I could be the world champion at Ironman. My performances in the races leading up to the ban told me that,” he said. It’s still far too soon to say if he will be allowed to compete again, but the involvement of Verbruggen and Ferrari are two areas which anti-doping officials will be particularly keen to chase up when he finally agrees to talk.